The graphic design experts at Golden Gate Sign Company can help you design the graphic signage that perfectly complements your company's intent and brand identity. We also offer high-volume digital printing capabilities in our expansive San Francisco Bay Area facility. When you choose the design experts at our sign company, you're getting comprehensive design help that includes services such as logo creation and brand identity – meaning you'll have everything you need to showcase your business to the world. We can create graphics for a variety of interior and exterior signage types - which include, but are not limited to, architectural signage, banners, channel letter signs, interior signs, pylon signs and custom displays. We work with many types of materials, and can design and manufacture LED graphics, digital graphics, neon graphics and traditional plastic or nylon designs. If you have artwork, our design team is happy to use your graphics to ensure seamless aesthetic in keeping with your brand. Simply send us your art through an online file transfer. After our expert Design and Fabrication teams have manufactured the signage featuring your design, our Installation experts will erect and maintain it. Get in touch with a representative today to learn more about our graphic design services. 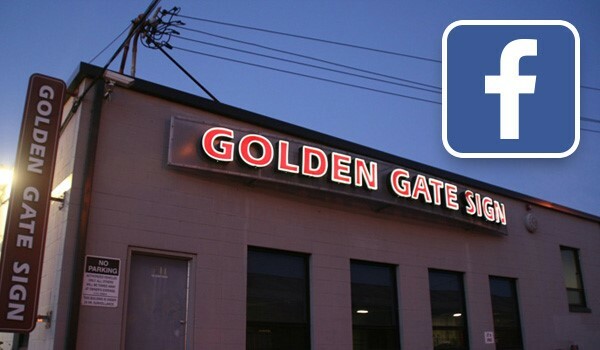 Fill out our no-obligation quote form to receive your FREE estimate, or call Golden Gate Sign Company with your requirements today.